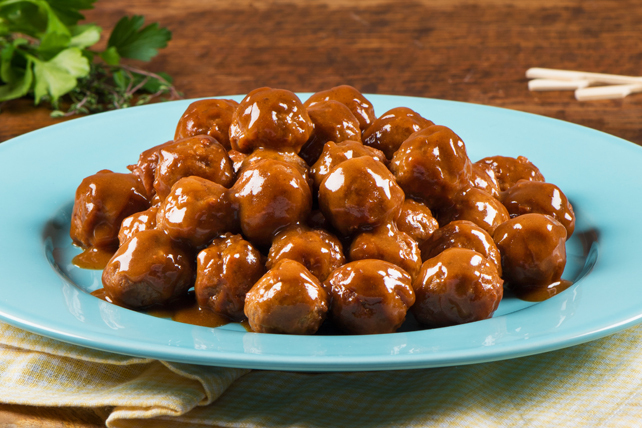 Jazz up frozen meatballs with this tangy sauce and get an impressive appetizer with little effort! Place meatballs in slow cooker sprayed with cooking spray. Mix barbecue sauce and mustard until blended; pour over meatballs. Stir gently to evenly coat meatballs. Cover with lid. Cook on LOW 3 to 4 hours (or on HIGH 2 hours). Every time you lift the lid of your slow cooker, precious heat is lost. So, keep the lid on and resist the urge to peek!